Working on a roof can be a daunting and dangerous task. The roofs of homes and commercial buildings aren't designed with foot traffic in mind, yet repairs and inspections require just that. Whether you are working on a new construction site or installing solar panels, safety should be your number one priority. Using proper precautions and life-saving safety equipment can help you and your employees avoid common accidents while working on a roof. Make sure the work area is clean, organized and blocked off from any passersby. Note any potentially dangerous area within the work site, both on the roof and the ground, including power lines, unsafe access points, skylights or any spot on the roof that appears damaged. You should also avoid working on a roof during extreme conditions. Rain, sleet or snow increase the risk for potential falls, while high temperatures can lead to heat exhaustion, stroke and cause damage to your equipment. 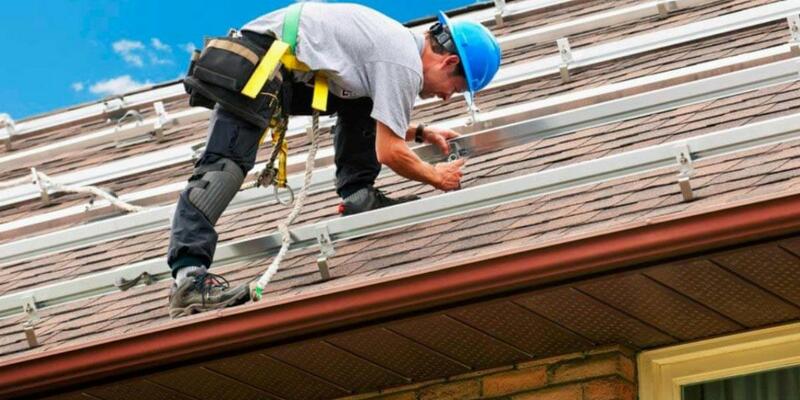 A roofing safety harness is part of an entire personal fall arrest system. It includes the harness, lanyard, rope-grab, rope and a roof anchor. Choose the appropriate harness and system for your job-site. Work conditions can vary, and harnesses are not one-size-fits-all. Rooftop Safety Pro Tip: Take the height of the building you are working on into consideration. Depending on the height of the structure, you may need to use retractable lanyards instead of fixed lengths. Always maintain 3-point contact on the ladder. Be sure that all locks on an extension ladder are engaged. The proper angle for a ladder is to place its base a quarter of the working length from the wall. Rooftop Safety Pro Tip: Wood or fiberglass ladders are safer to use around electrical lines than metal ones. Electricity and jump to a solid metal object even if it's several feet away. Especially during peak summer months, a roof is an effective heat trap. Dark roofs absorb and radiate heat back towards workers which can cause heat exhaustion. Provide a tent or shaded area for workers to take a break from the sun. Rather than drinking large amounts of water all at once, ensure your employees drink smaller amounts of water throughout the work day. Provide a water cooler or water bottles for employees to drink during their breaks to cool off. Proper protective wear includes suitable footwear, hats, sunglasses, pants and long-sleeve shirts. Rooftop Safety Pro Tip: Don't forget about sunscreen. Anytime your workers will be outside, make sure to have sunblock available (even if the sky is overcast). 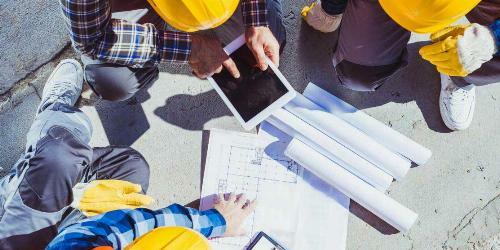 Skipping necessary safety steps means there's a greater chance that an accident will happen, causing additional expenses, potential lawsuits and moving your project deadline. Roofing is a dangerous profession, but you can minimize the risk by following these roofing safety procedures. 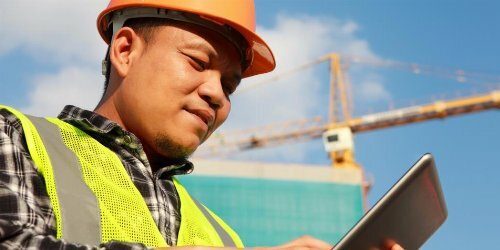 Similar to other rooftop safety practices, it doesn't take much to reduce the risk of working on a roof. The trick is to have the correct measures in place and make sure all parties do their part. Looking to expand or grow your roofing business? Check out our article addressing the booming business of installing residential roofing solar panels.